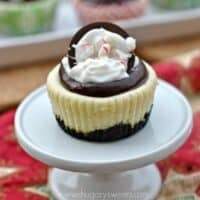 Individual Peppermint Cheesecakes brought to you by PHILADELPHIA Cream cheese! I’m not sure how far in advance you plan for the holidays, but in my family we start making our menus early. Then we call each other and tweak them some more. Then again the next week. This continues for about 4 weeks until the week prior to the holiday. At which time we usually have changed the entire menu in the process. However, some things never change. Like our desserts. I’m almost always in charge of bringing the desserts for Christmas. I usually have containers full of candy, cookies and treats. Because I travel home for the holidays, I have to bring foods that don’t need to be refrigerated. So this year, I’ll be baking these Individual Peppermint Cheesecakes AT my mom’s house. Traveling with a cheesecake is obviously difficult. 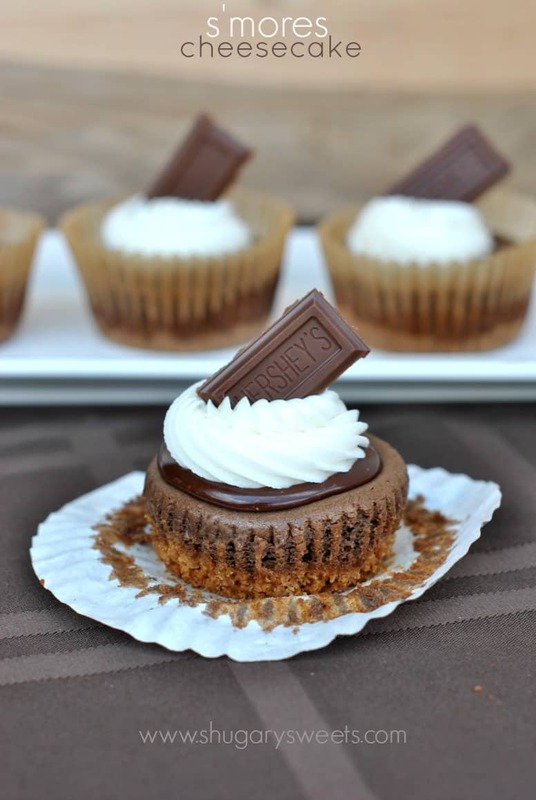 However, whipping up a batch of these at her house during the holiday will be super easy. And delicious of course. Here’s what you do: Start by making a chocolate cookie crust. I love the combination of a chocolate crust with the peppermint. If you prefer graham crusts, that totally works fine too! For your filling, start with your ingredients at room temperature. I know this takes a little advance planning, but it really makes a difference. I mixed in some peppermint extract to give my cheesecake a little bit of mint flavor. When making the individual cheesecakes, I don’t worry about cracking on the tops, because I ALWAYS top them with something delicious. This time I used a chocolate ganache. You can use mint chocolate too if you want even more mint flavor. I found the mint in the cheesecake was perfect! I made some homemade peppermint bark for each cheesecake by melting down some chocolate bark and putting it into mini cupcake tins. Let the chocolate layer harden (refrigerate for about 10 minutes) then drizzle on a little bit of melted white chocolate and add your crushed peppermint candy immediately. Allow this to set in refrigerator, about 15 minutes (I used candy bark, which hardens very quickly and doesn’t need to be tempered). Once set, pop each chocolate out of the tin with a butter knife. It’s okay if you indent the candy a little bit. Just make sure when you put it on your cheesecake, you put the dented side down into the ganache. I also added a small swirl of whipped cream on top of the ganache. Only do this if you are serving immediately. Otherwise it will get too soft (and ugly, haha)!! When it comes to cheesecake, not all cream cheeses are created equal. I always trust PHILADELPHIA in the silver packages! What makes PHILADELPHIA my cream cheese of choice? Well, for starters they use milk from local dairy farmers and combine it with real cream. Their milk is made into cream cheese in just six days. Sounds pretty fresh to me. Real ingredients, no preservatives, and local products all sound like great reasons. But really, it’s because it works. Every single time! For more holiday recipes and tips, visit Cheesecake Cheer! Prepare your crust by adding your chocolate cookies to a food processor. Process until fine crumbs. Add in the melted butter and pulse until fully combined. Line cupcake tins with paper cupcake liners. Spoon crust into each cupcake (about 1 heaping Tbsp per cupcake). Press into the bottom of the liner gently, until crumbs combine. Set aside. For the filling, beat cream cheese with sugar for 3-5 minutes, until smooth. Beat in the sour cream and eggs. Add flour and peppermint and beat an additional 2 minutes. Spoon into cupcake liners evenly, until all the filling is used. 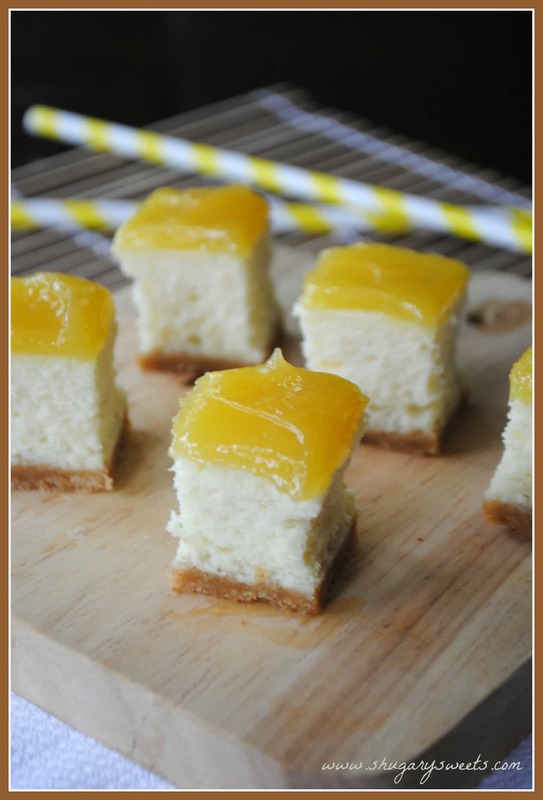 Bake cheesecakes in a 350 degree oven for 20-25 minutes. Turn oven off and let cheesecake sit 10 minutes. Remove from oven, gently, and allow to cool completely in tins. Once cooled, remove from tins and refrigerate. For the ganache, in a glass bowl, add heavy cream and microwave for 30 seconds, until warm. Add milk chocolate and heat an additional 60 seconds, stirring until smooth. Spoon about 1-2Tbsp onto each cooled cheesecake. While cheesecakes are cooling, prepare the mint candies. Melt chocolate candiquik according to package directions. Pour melted chocolate into a small plastic bag, snip off the corner and drizzle into the bottom of a mini muffin tin. Fill about 24 bottoms evenly. Refrigerate for about 10 minutes. Melt vanilla candy coating and drizzle over the top of the chocolate. Sprinkle immediately with crushed peppermints. Allow to set, about 10 minutes. Remove from pans with a butter knife. To assemble, right before serving, place a small dollop of whipped cream onto the chocolate ganache. Press the candy into the whipped cream and enjoy! Looking for more cheesecake ideas? S’mores Cheesecakes: a twist using a graham crust, chocolate cheesecake, marshmallow frosting and chocolate ganache! Lemon Cheesecake Bites: fresh cheesecake topped with creamy lemon curd. Perfect any time of year! 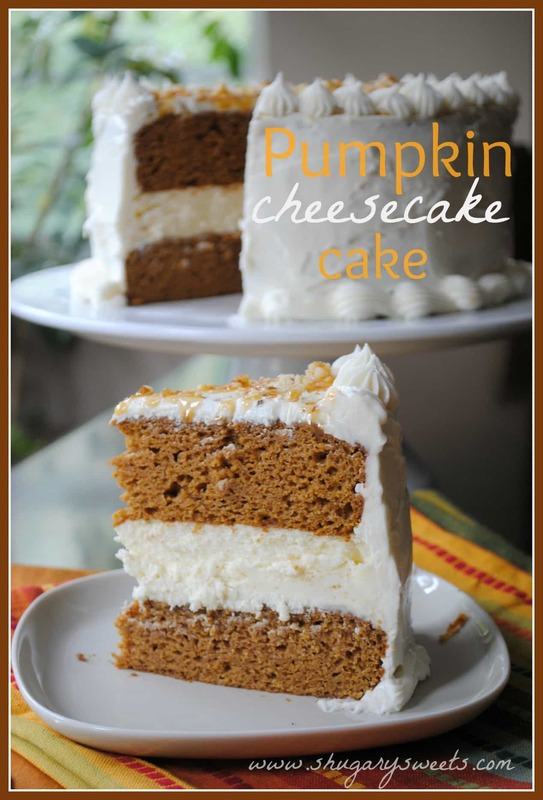 Pumpkin cheesecake cake: two layers of moist pumpkin cake with a creamy cheesecake center. Topped with cream cheese frosting, of course! **I have been selected by Kraft Foods to be a spokesperson for PHILADELPHIA Cream cheese. While I have been compensated for my time, my opinions are my own! Read my disclosure policy for more information! This look so incredible! Love these!! 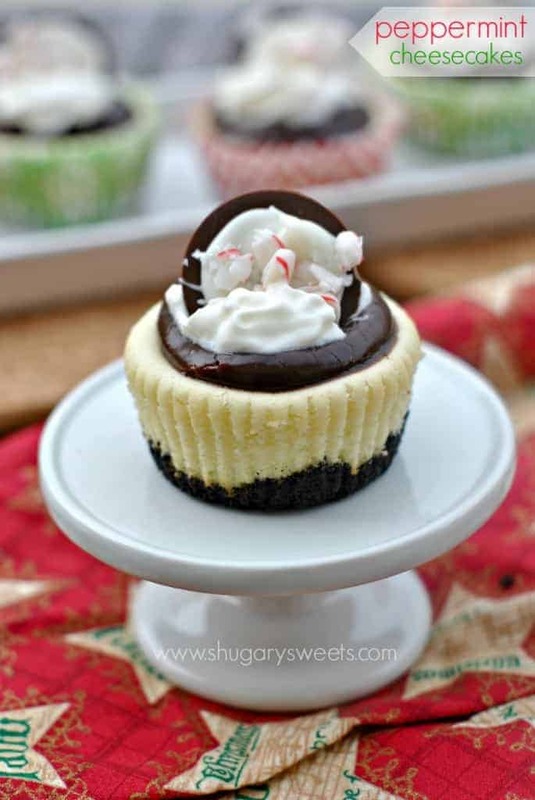 Peppermint + chocolate is one of my favorite combinations and I love that you made a cheesecake out of it! These look amazing 🙂 Love the idea of peppermint in cheesecake! These are gorgeous Aimee! LOVE peppermint! Love these, Aimee! Peppermint is one of my favorite holiday flavors and I love cheesecake. I also love how these are bite size! These look incredible, Aimee! Peppermint and chocolate just scream Christmas, and is one of my favorite flavor combos. 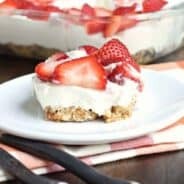 The cheesecake is a new twist that I’d love to try! These are a must for the holidays!! Oh and pop by to make them at my house too!! I love the little peppermint bark circles you added. I bet this is delicious! Peppermint and chocolate is my all-time favorite flavor combination. Add that to a cheesecake, and now I’m in heaven! Those candies are SO cute! What perfect toppers! Peppermint and chocolate and cheesecake – that’s Christmas in a dessert right there! I am swooning with delight!! I am completely all about all things peppermint right now! It’s so crazy how much I want to bake with it. Those are the cutest little cupcake toppers, and I love that you made them in a mini cupcake tin! Genius!!! I’ll have five of these! Thank you very much. Love the peppermint. 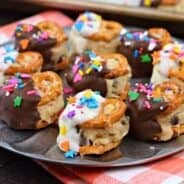 These look decadent and delicious too! Yum. Oh my goodness does this mean I can shout out loud how excited I am for the holidays?! It’s not too early?! AIMEE YOU MADE MY DAY! 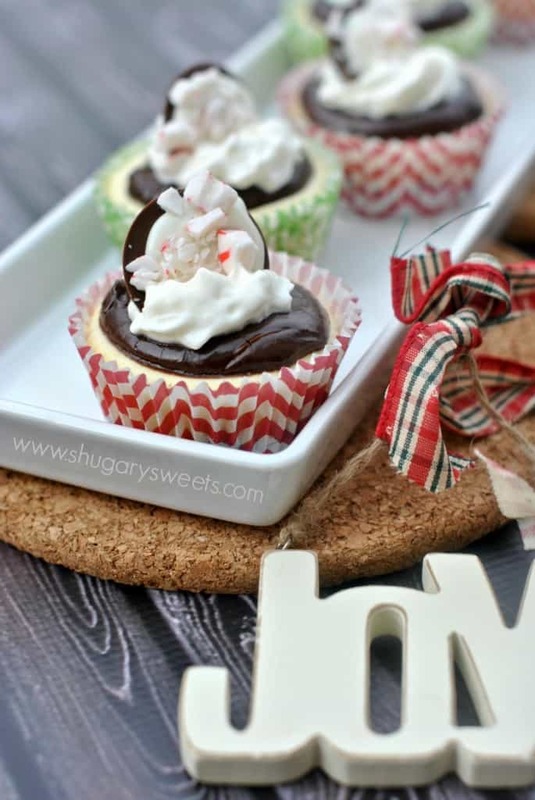 These tiny cheesecakes are picture perfect and would make any holiday dessert table complete! Oh I love the peppermint cheesecake! Mini cheesecake are my jam. Because easting a whole slive of cheesecake makes me feel guilty, and I just can’t resist a good cheesecake! are these standard cupcake sizes or are they mini cupcake sizes? also, when you say one cup of milk chocolate (ganache), are you melting morsels or ????? i’ll be making these for women’s event in 2 weeks. These are standard cupcakes size. I used milk chocolate morsels (1 cup). Hope that helps. Enjoy! Little cheesecakes are my favorite 🙂 the peppermint topping is delightful! This peppermint Cheese cake looks delicious. I love Cheese cake most. 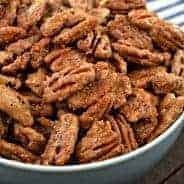 I read your recipe its really unique and easy to make. These are terrible. WAYYYY too minty. they turned out tasting more like toothpaste than cheesecake and I had to remake my cake. These aren’t really an overly minty type of cheesecake. Did you use peppermint extract (not MINT extract…that can have a more toothpaste flavor). Sorry they didn’t turn out how you expected!! 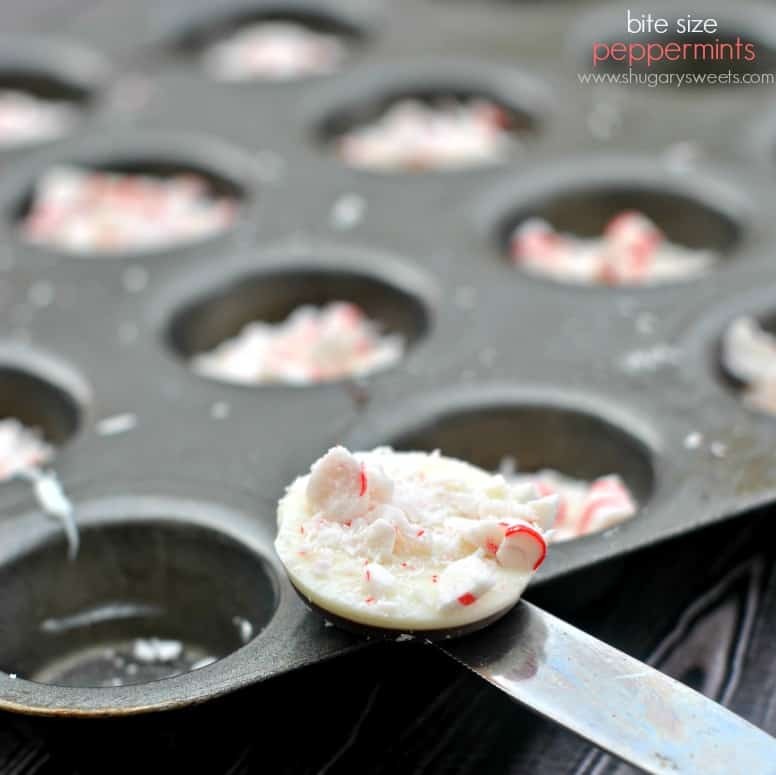 I love this peppermint idea – I am definitely gonna try this over the holidays.